Corrado Rosson is a bright spark of a designer; a self-taught self-starter in a company renowned for innovation. Born in the town of Agordo, in the dramatic and rugged Dolomite mountain area of northern Italy, Corrado Rosson simply followed his natural inclinations to a career in design. Before he even knew that eyewear manufacture was his region’s leading industry, Rosson’s path was in a sense laid out for him: “I was always incredibly attracted to sketching, drawing and any opportunity to represent something graphically,” he says. As he matured, Rosson was increasingly drawn to the combination of art and technical accuracy that is intrinsic to design. Rosson eschewed formal post-secondary education, instead teaching himself 3D graphics. This passion led to a chance meeting with a professional designer who created bath furniture, leading him to a job in that field. From there, he easily moved into eyewear design, as a member of Luxottica’s design department (Luxottica has a major factory in Agordo), beginning in 2006. 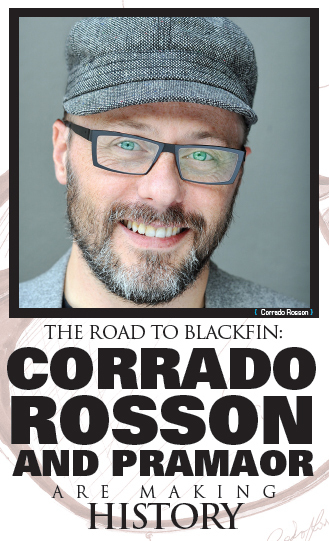 The road to Blackfin emerged when Rosson joined forces with Pramaor Srl in 2011. Pramaor is an Agordo-based family firm, founded in 1971 and now headed by Nicola Del Din, the secondgeneration CEO. 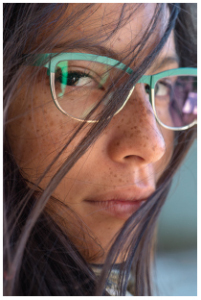 The company originally produced frames for larger eyewear companies in the region. In 1991, they began working intensively with titanium, eager to develop its potential for quality and performance. 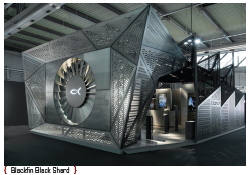 By 2008, their vision for titanium fully realized, Del Din and his team decided to concentrate their efforts on the brand that would be all their own: Blackfin. This bold move has been richly rewarded and Blackfin is on a roll, with stellar sales figures and international acclaim. The combination of a strong history and forward thinking makes for a dynamic company, true to its roots, yet always evolving. The firm recently established a new colouring department to build on their distinct advantage in this area, and custom-ordered colour combinations will soon be available on special order, with the customer’s name engraved on the frame as well as on the packaging.